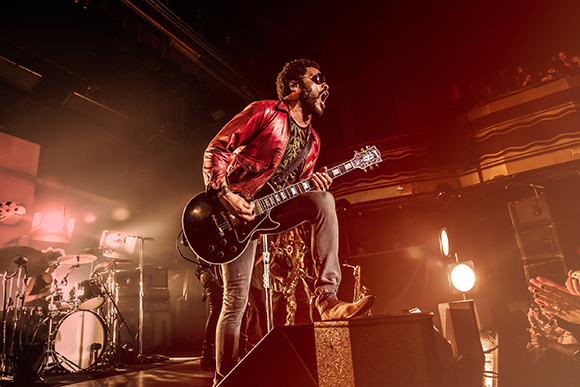 Lenny Kravitz hits the road on his 2015 'Strut' tour across North America and will be smashing the Greek Theatre Berkeley stage on Sunday 13th September 2015! Lenny Kravitz is known for his distinctive retro rock guitar sound that brings to mind the likes of the legendary Jimi Hendrix, along with his funk inspired vocals, similar to Prince and Jamiroquai. LK will now be bringing his classic sound up to date with tracks from his latest album as he celebrates with his beloved fans! Join him on this very special evening – here's your chance to fly away! Lenny Kravitz is a Grammy Award-winning rock musician, originally from Brooklyn, New York. His first music debut came in 1989 with the album 'Let Love Rule', which certified gold in the United States. The record included hit singles such as; Mr Cab Driver and the title track. In 1990, everyone already knew who LK was and were onto buying his second album 'Mama Said', which was his first album to reach the Top 40 and contained his most successful single in the U.S, the Motown influenced ballad, "It Aint Over Til It's Over." Between 1989 – 2000, Lenny Kravitz had proved that he was a unique asset to the music industry. His gravely soulful vocals, combined with his talented lead Guitar playing grabbed the attention of many around the globe, especially when he stepped out on to the stage. In 1998 Lenny received a Grammy Award for best male rock vocal performance and by 2000 he was able to release a greatest hits compilation. Since the height of his career, Lenny Kravitz has appeared in many big-screen debuts including the Oscar-nominated movie Precious in 2009 and The Hunger Games in 2012. He also continues to rock out in stadiums on successful tours and continues to impress fans with his dedicated and accomplished musical abilities, including his latest album 'Strut' released last year!